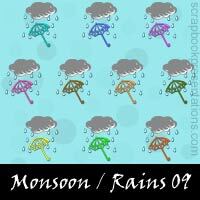 Monsoon is a seasonal occurrence of rain bearing winds caused by precipitation. 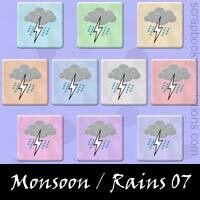 The major monsoon systems of the world consist of the (West) African and Asia-Australian. 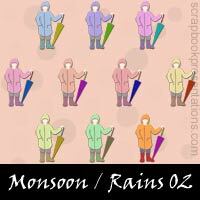 The Asia-Australian monsoon is the dominant monsoon in the world. Agriculture worldwide is dependent on monsoons to a large extent. Delay of a few days in their arrival can, and does badly affect the world economy. 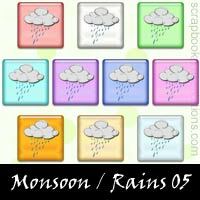 You can learn more about Monsoon / Rains on Wikipedia. 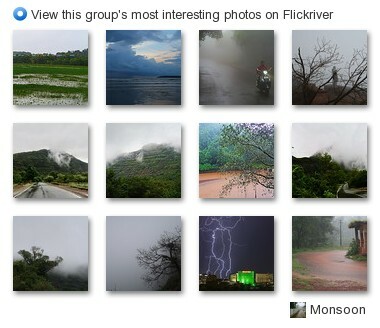 See a visual presentation (scroll down this page) and download a PowerPoint presentation on Monsoon / Rains.